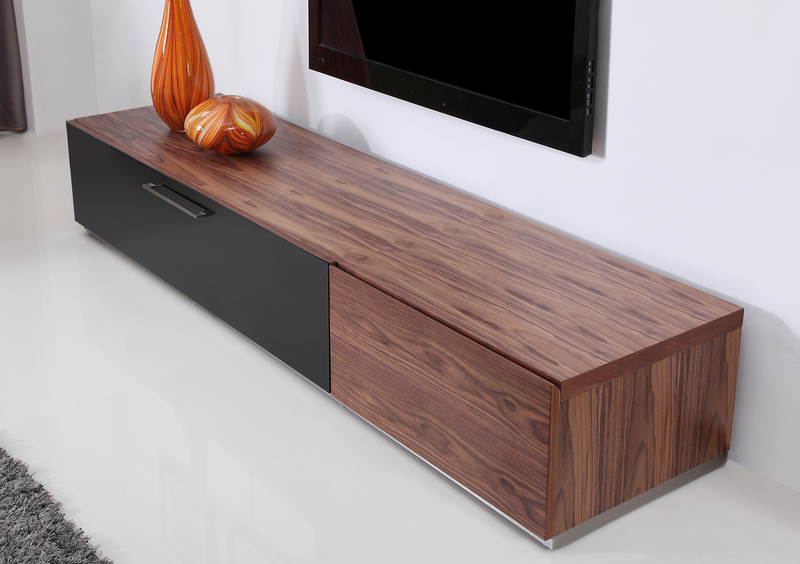 B-Modern sets the trend in clean and minimalist TV consoles with the use of handcrafted bespoke wood veneer. 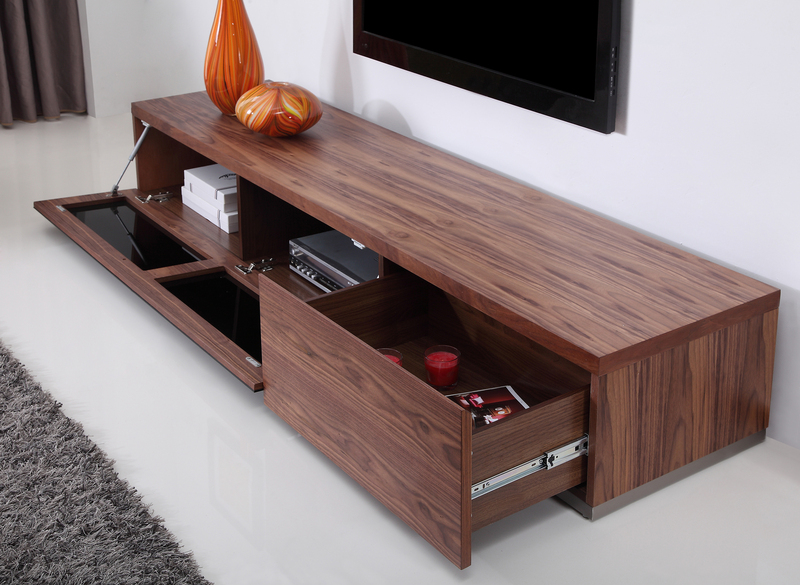 All B-Modern entertainment furniture is designed in Los Angeles, California. 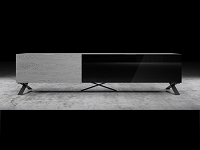 Featuring the Producer TV Stand Collectionï¾—the new standard for the modern minimalist. The Producer collection features a seductive low-profile design with maximal functionality. 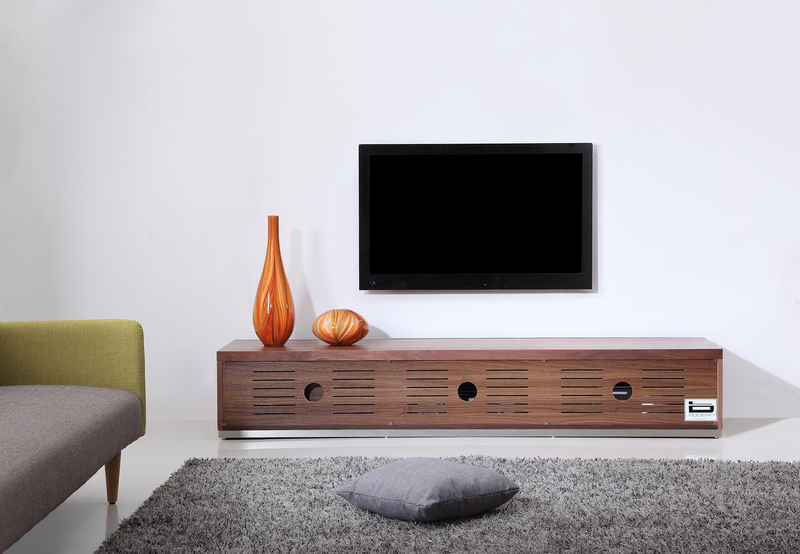 The Producer is ideal for creating a luxurious home entertainment system while maintaining a clean minimalist approach. Pull the tempered black IR glass door and watch it smoothly open and uncover two storage compartments made to hold components of all sizes. 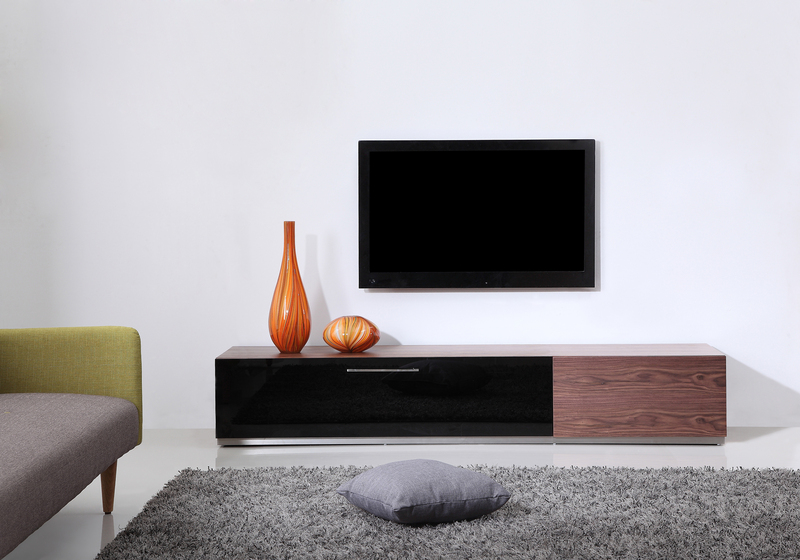 Gently close the door and create a sleek, hidden look while maintaining full use of remote controls. 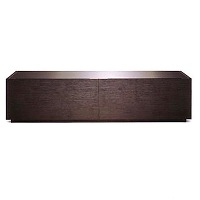 Slide your fingers into the hidden groove to open a large media drawer with soft-closing hinges. The polished stainless steel base further enhances the look and quality of the Producer. An integrated cabling system and ventilated back panel further attest that the Producer is crafted with every detail carefully considered. Designed in Los Angeles, CA by the B-Modern design team.